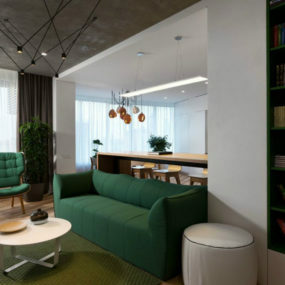 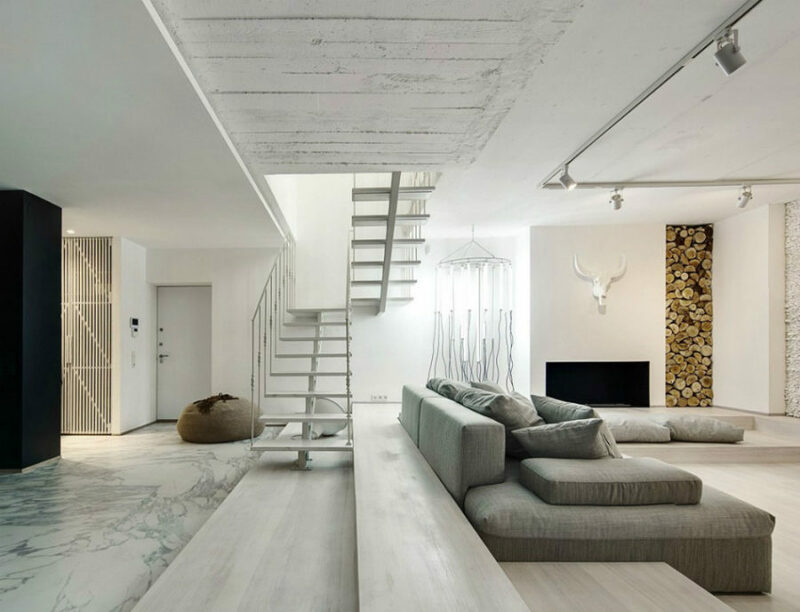 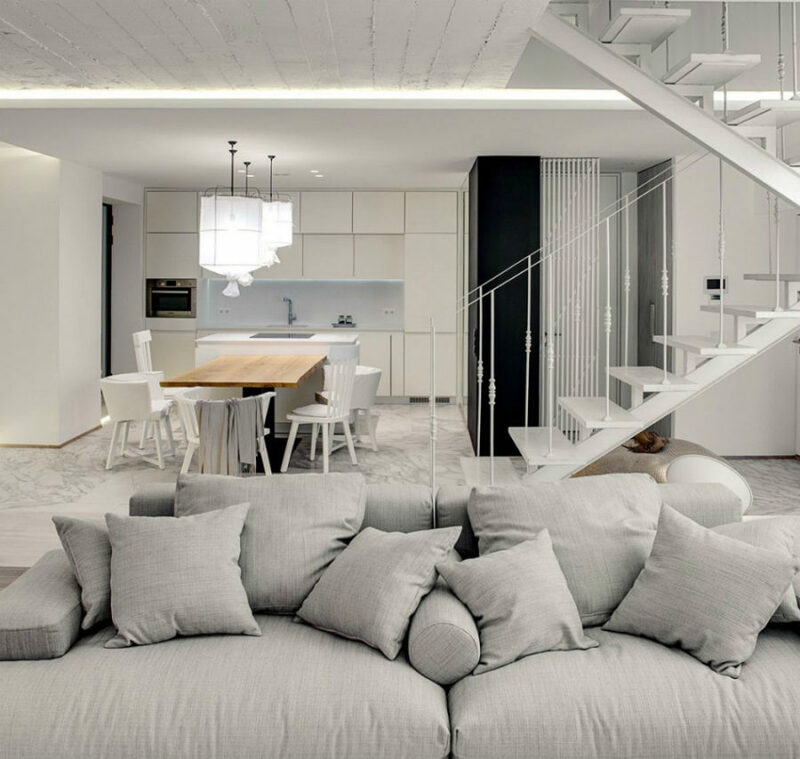 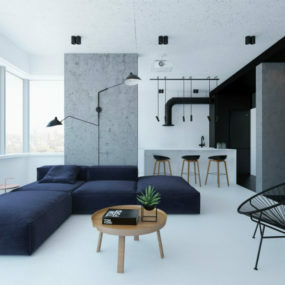 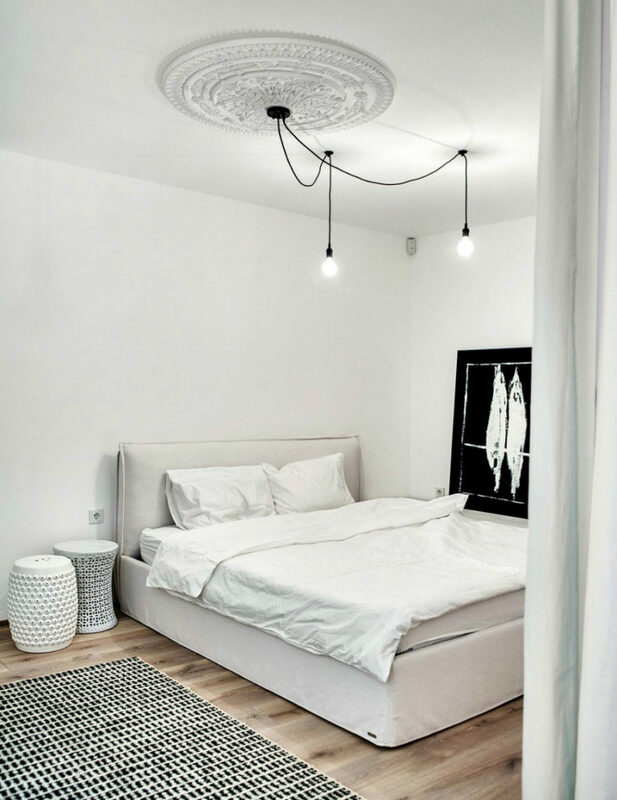 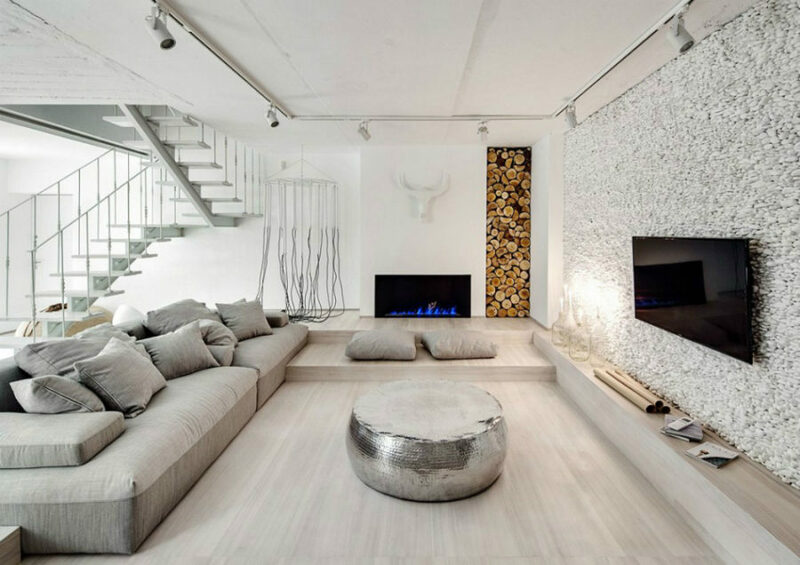 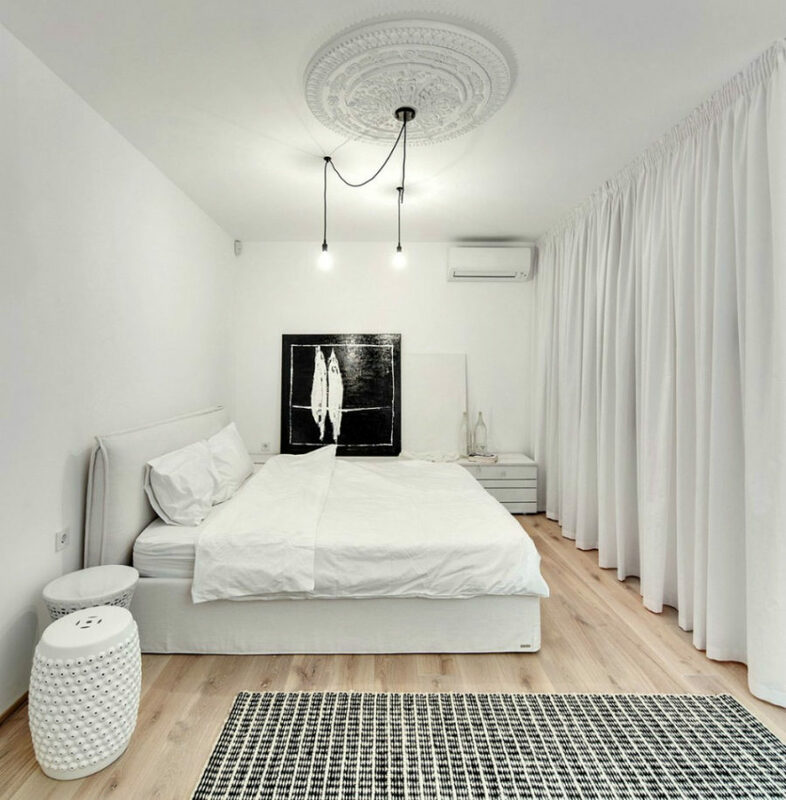 Bright White Home is a white apartment in Kiev, Ukraine that shows design and decor in every inch of the 1,938-square-foot (180 sq m) area. 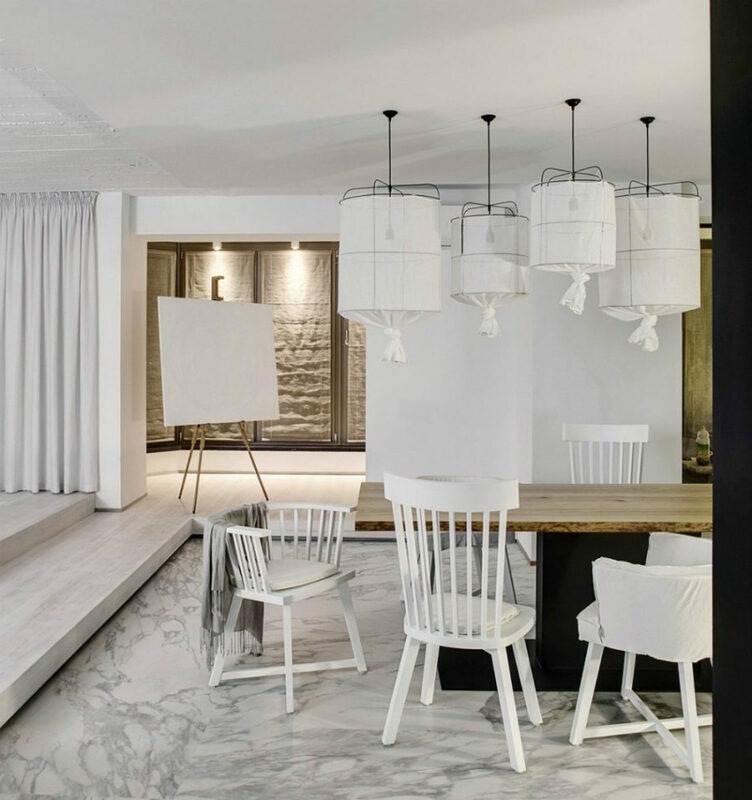 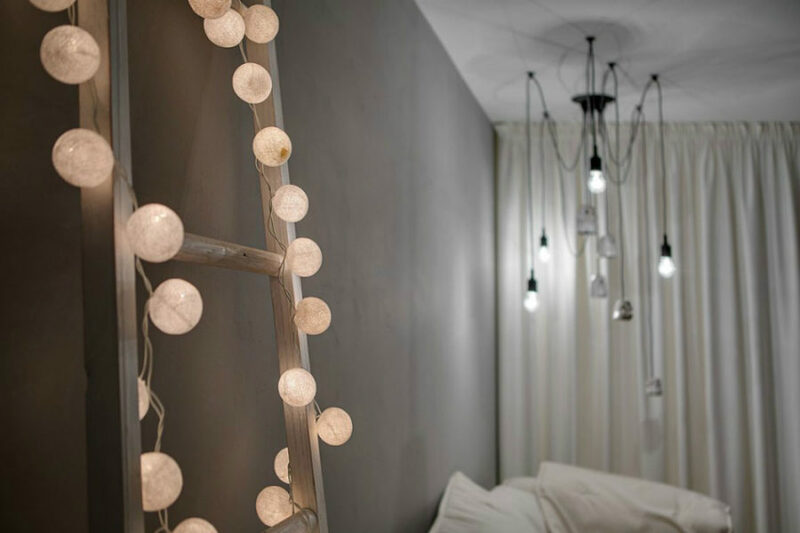 Creative types behind the project, FORM Architectural Bureau, made sure every zone has its own special something. 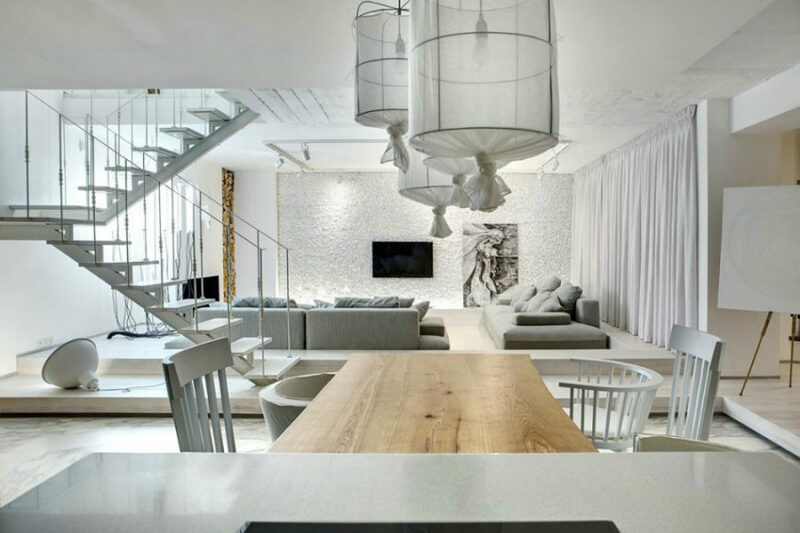 The duplex starts with the main open plan room with a slightly sunken living area, kitchen, and dining. 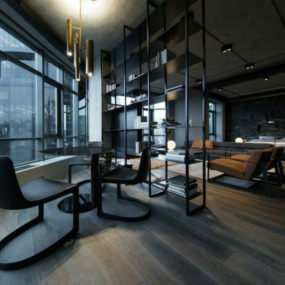 The vertebrae-shaped staircase connects the two levels of public and private spaces. 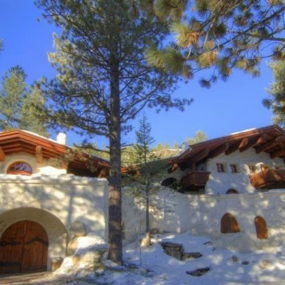 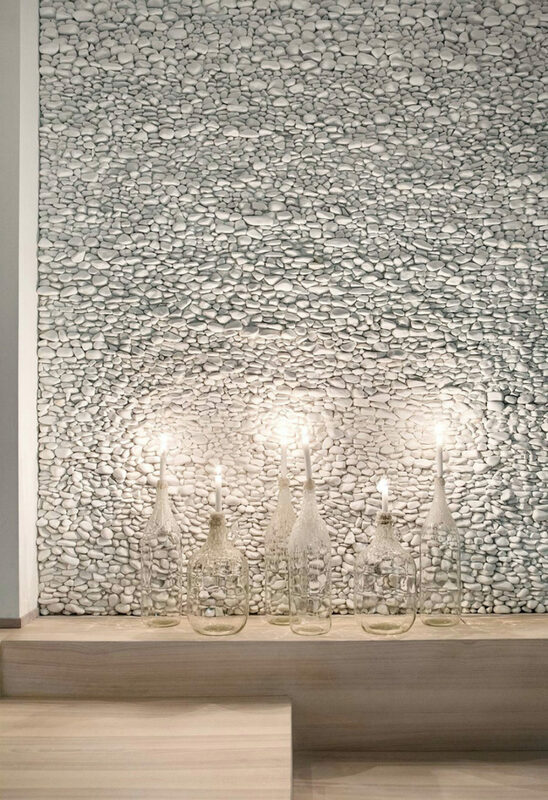 In the living area the white river rock feature wall is the main design element that attracts the eye. 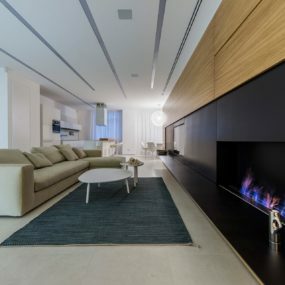 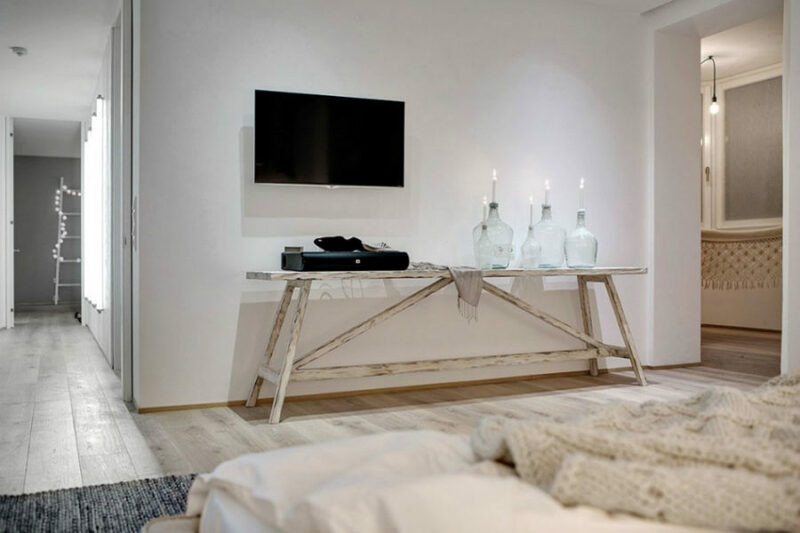 But there’s also a wood log wall niche and bleached wood floors, breaking into different levels to create a separate zone for fireplace sitting and to serve as a TV console. 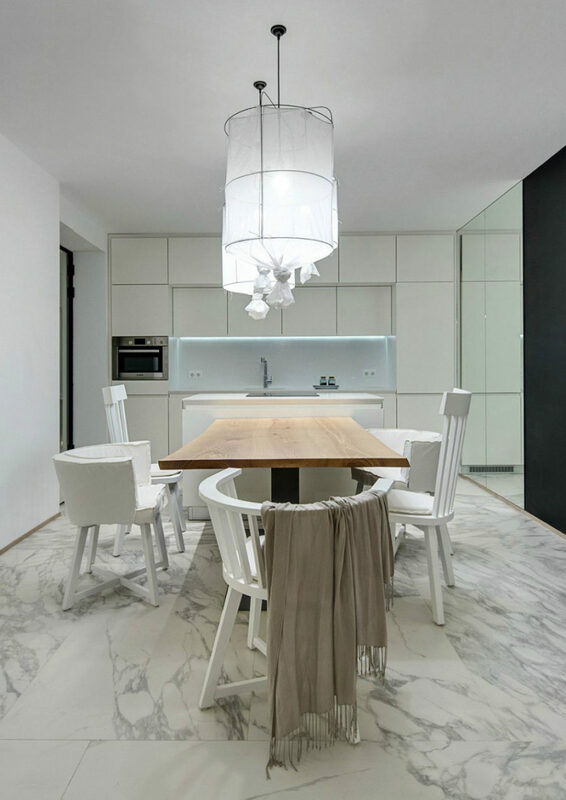 To demarcate the different areas, the architects chose marble for kitchen and dining floors. 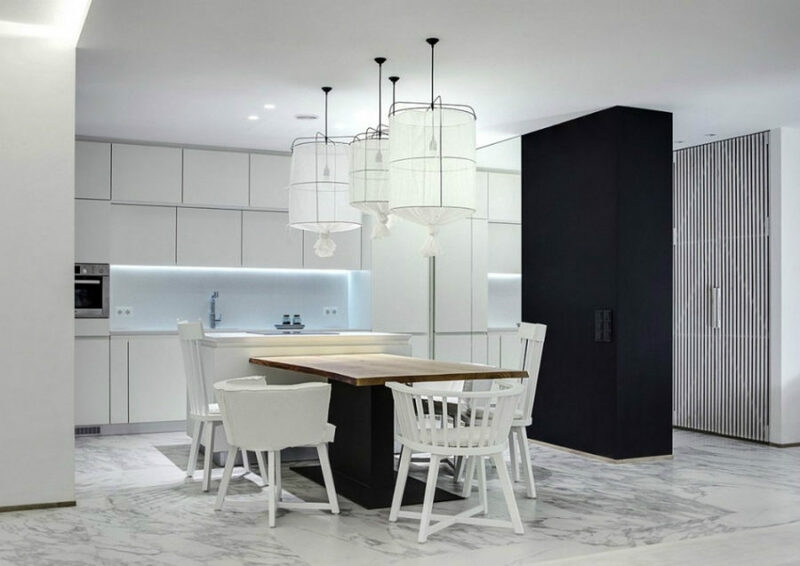 The minimal kitchen gets a decor-heavy treatment from dining furnishings and lights, which is also heavy on textiles. 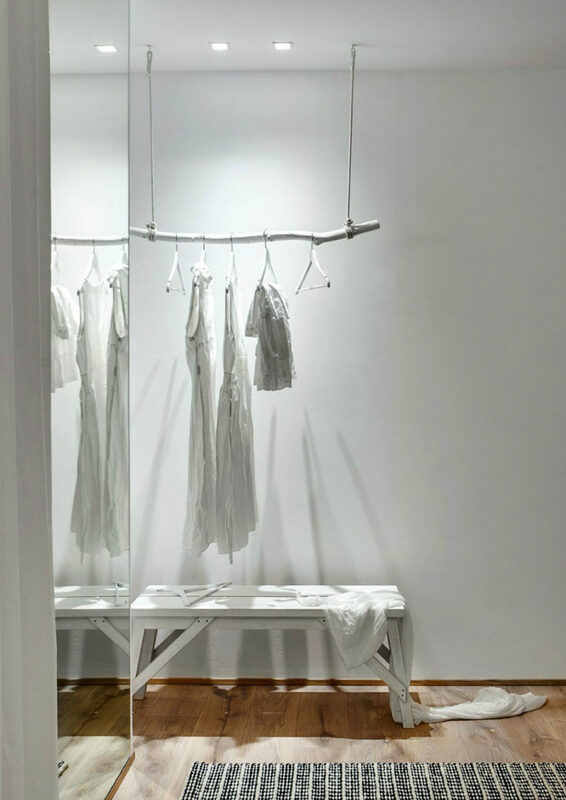 The tea room is separated from the main room with glass doors curtained with a neutral fabric. 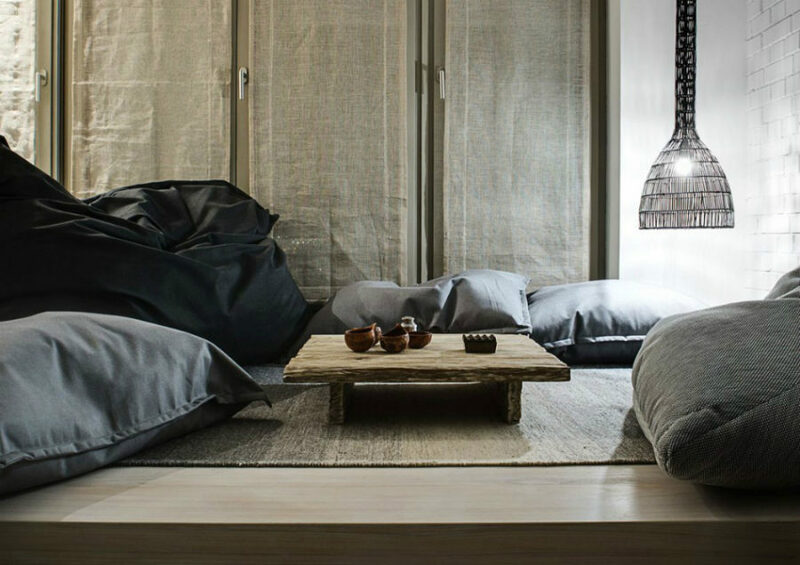 Inside, there is a low small wooden table and a collection of bean bags and floor cushions serving as seats. 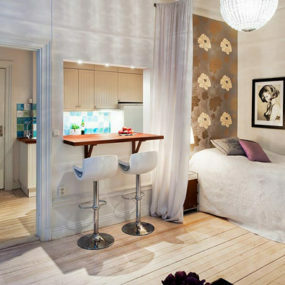 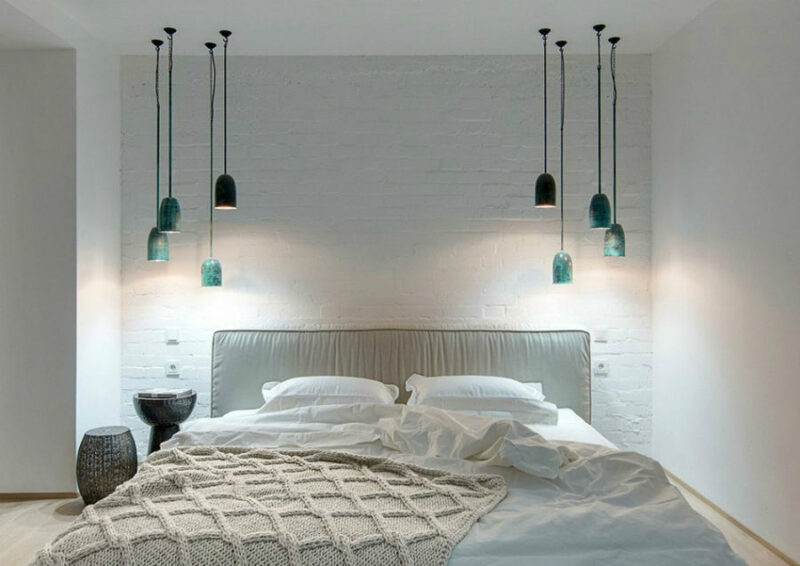 Two bedrooms of the house are furnished with big trendy soft beds and minimal decor. 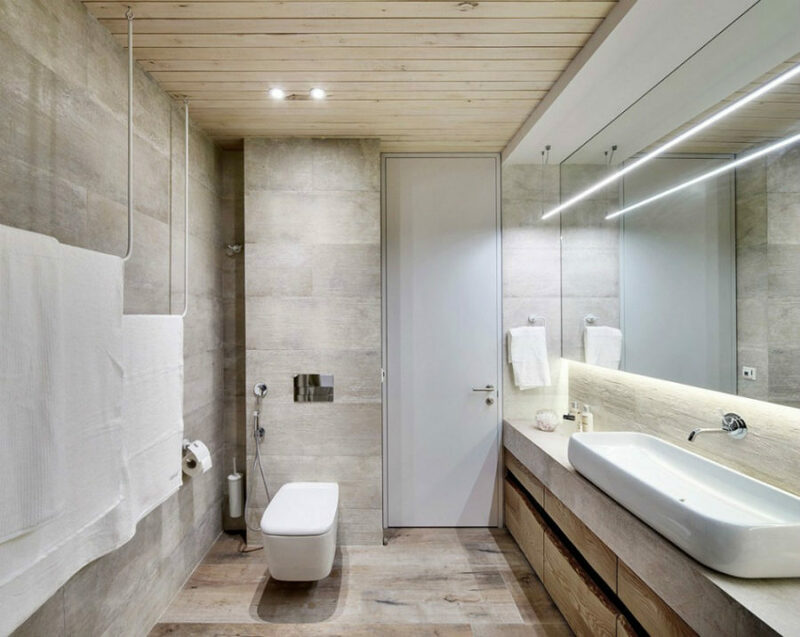 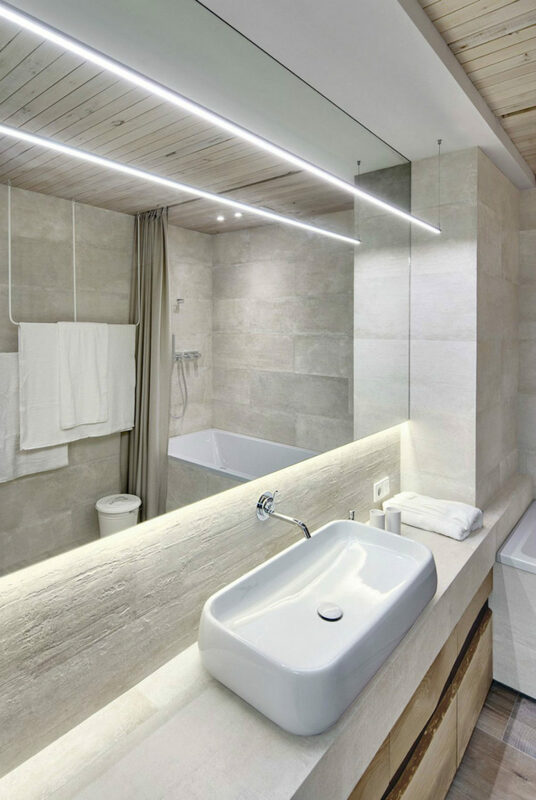 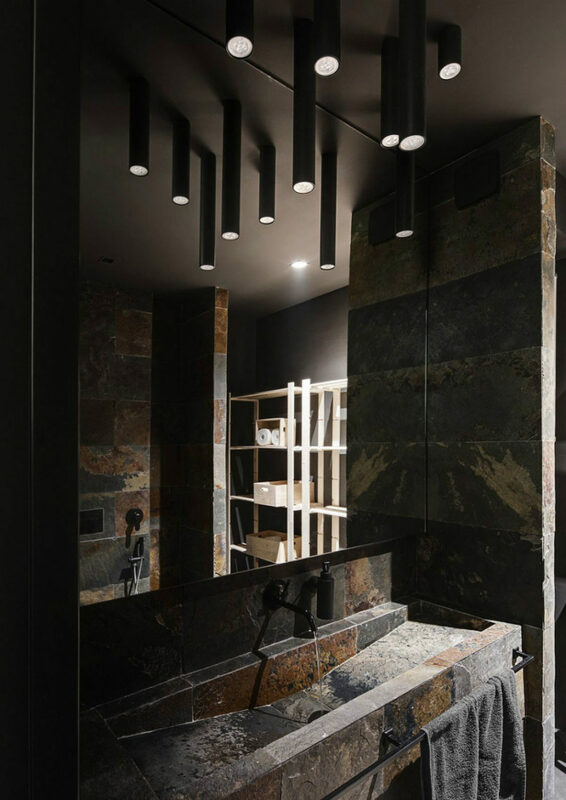 While one of the bathrooms is clad in colorful but dark stone, creating the look that contrasts greatly with the rest of the apartment.